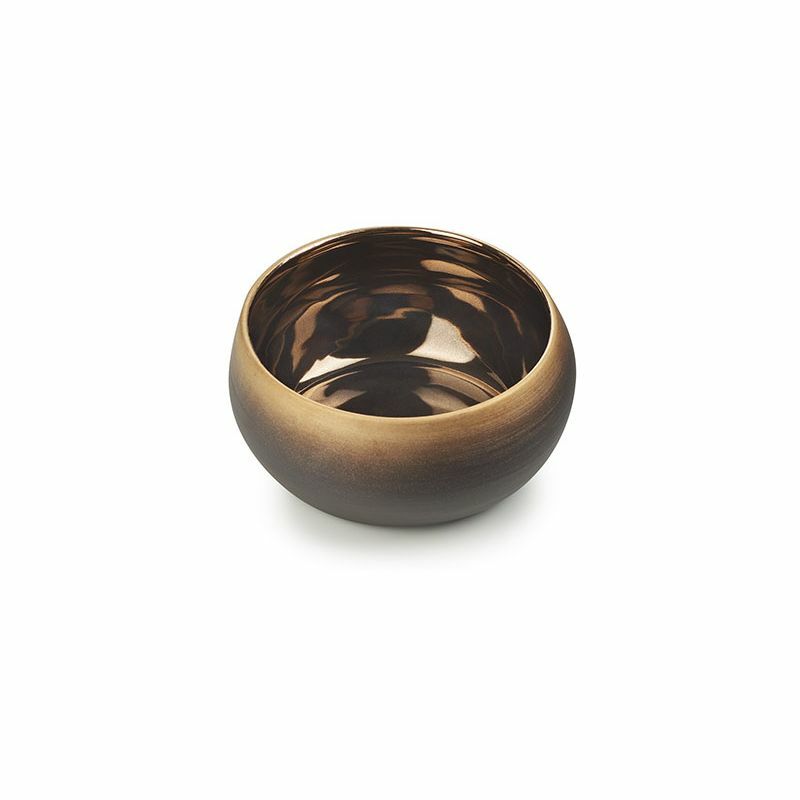 This vibrant Sunset Gold bowl is all about gold: it has golden brushes outside of gold inside the bowl. Solstice collection includes a series of bowls and trays crafted and decorated by hand. The bowls are available in 6 colors. This is the individual size Ø5. Also available in 2 smaller sizes. Colors play with matt and glossy finish, gold and platinum reflects. Oven and freezer safe.Handwash.